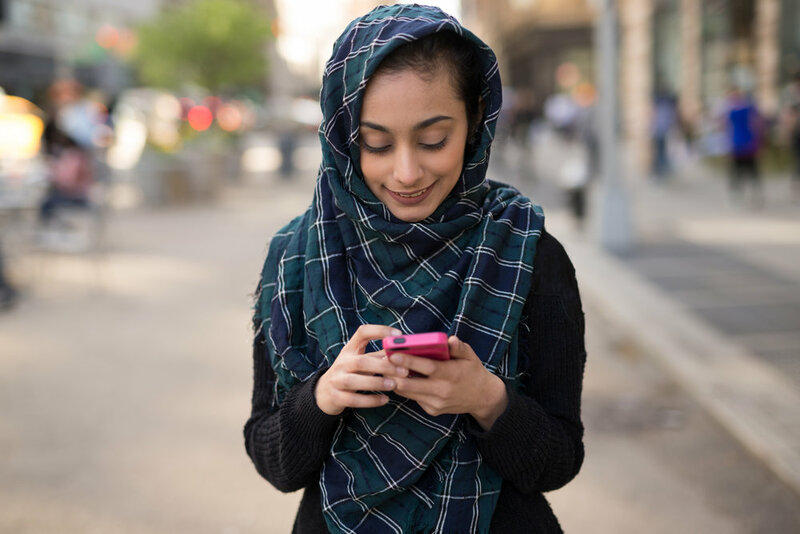 As we have shared before, Basma is a believer from a Muslim background who, like many others, had to flee her country to be able to follow Christ. Her son, whom she had to leave at a young age due to her faith, gave his life to Isa (Jesus) at the age of 15 and sought out contact with his mother soon after. However, since becoming a Christian he has been severely rejected by his father and has had to go into hiding. He has since been accused of a crime he has not committed and has the prospect of spending up to 15 years in prison having already been in prison for approximately 6 months. A few weeks ago we had a privilege of meeting Ayoub, a believer from a Muslim background (BMB) and he shared his inspirational story with us. He grew up in North Africa in a Muslim family and during his teenage years he started to ask questions about the Quran and Islam. These questions went unanswered and the local Imam even forbade him from asking any more. By the time he turned 16 he no longer believed that Quran was a book from God and he spent 10 months as an atheist. Our prayer this week is for our On Bended Knee project, which is specifically aimed at believers from a Muslim background (BMB). This project is for BMB’s to create poetry, prose and prayers in their own language to be able to encourage their fellow believers in the Gulf, as well as spread Gods word and love throughout the region. Believers from a Muslim background (BMB) face many challenges. When they make a decision to follow Jesus, their families are expected to kill them, or at the very least completely reject them and no longer see them as part of their family. If that wasn’t enough, when they come to know the truth of God, they want to share the Gospel message with those around them. They often do this unwisely and can end up dead or imprisoned. Our Project, Life in the Desert, uses a 3D animated children’s series to help traumatised children across the Middle East to find healing and restoration. Alongside a curriculum, this project helped over 1,800 children across refugee camps and communities last year. Our prayer for this week will be a prayer of thanksgiving. Last week, it was announced that Asia Bibi’s acquittal would be upheld in the Pakistani courts, ensuring that she would not be sentenced to death for alleged blasphemy. Last week saw the publishing of the World Watch List- a list compiled by our friends over at Open Doors. It was presented at the Houses of Parliament where Home Secretary Jeremy Hunt spoke about religious persecution. The report looks at Christian persecution globally to discover what the global trends are and which countries see the most persecution. One of the first main news stories of 2019 has been about an 18-year-old Saudi woman who renounced her religion and has had to flee her country and family to seek refuge in Australia. Although women’s rights are a global issue, it is especially a problem within the Middle East. This story has brought home the real dangers that women in the Middle East are in just for asking for basic human rights – freedom of travel and freedom of religion. The powerful stories of believers from across the Gulf - will you pray for them? Becoming a believer in the Gulf often carries a huge price tag... and yet, people continue to come to Christ! Please join us in praying for these bold believers as they risk everything - their families, jobs, homes, and even their lives - for Jesus. Many believers from a Muslim background are involved in our On Bended Knee project - a video series of prayers, poems and prose by and for the people of the Gulf. Each one of these believers has a powerful story to tell. One such new believer is Mark (not his real name), an elderly gentleman in his 70s. He wanted to wear a cross necklace to display his newfound faith, but couldn't find a cross big enough... so he went to the only church in his city, bought a cross keyring, and now wears it proudly around his neck every day! Despite the risks of being openly Christian in a Muslim society, he sits in his local cafe wearing his cross necklace and and waits for people to strike up conversations with him about it. Thank God that people are coming to faith across the Arabian Peninsula and that they are taking huge risks to do so. Please pray for the new believers we are in contact with, most of whom have had to make huge sacrifices like fleeing their homes and families. Pray that God would be close to them and strengthen them. Thank God for the boldness of believers like Mark, and for the impact they are having on those around them. Please pray for the On Bended Knee video project. We have filmed several episodes now, including a powerful poem in the Omani Arabic dialect. Poetry is an important part of Arab culture, so we hope these videos will show that becoming a Christian doesn't mean a loss of cultural identity (a common misconception). Pray for the families of these new believers, who are often the main source of persecution. Please pray that they too would come to Jesus. For an alternative perspective on what it's like to follow Jesus in the Gulf, you may enjoy this episode from our I Believe, But... series. In this episode, a Gulf believer from a Muslim background struggles with pride, because believers from a Christian background make him feel like he is better than them for the sacrifice he has made and the risk he has taken! Who are the Kurds, why do they want independence, and how can we pray? What an answer to prayer! Our Future Leaders course went ahead successfully - to equip young Middle Eastern Christians as spiritual leaders and media makers. Please pray urgently for our upcoming Future Leaders media & discipleship course for young Middle Eastern Christians, which is at risk of cancellation due to recent attacks on Christians. According to UNICEF, approximately 1 in 5 girls in the MENA region are married off before the age of 18. Please pray for a cultural shift. This is the time to repent of sins, as well as forgiving fellow Muslims. It is said that during this time, Allah's forgiveness is at it's peak. The first ten days of Ramadan are the 'Days of Mercy', during which Allah is said to be more merciful. How can we pray for Saudi Arabia and its believers and seekers?